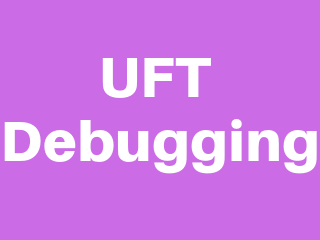 Debugging, in automation testing context, is a systematic process of spotting and fixing the coding issues in the automation scripts so that the script will be more robust and can spot the defects in the application. 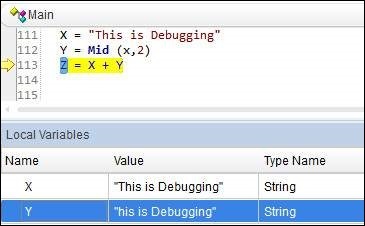 There are various ways to perform debugging using break points in QTP. Break Points can be inserted just by pressing "F9" or by using the Menu option "Run" -> "Inserting/Removing Break Point". Various Options in Break Point can be accessed by Navigating 'Run' Menu. Output - This Tab displays all the Output of the Print Statements. Watch - This Tab displays the Boolean output of the Given Expression. LocalVariables - This Tab displays the Output of the Local Variables.